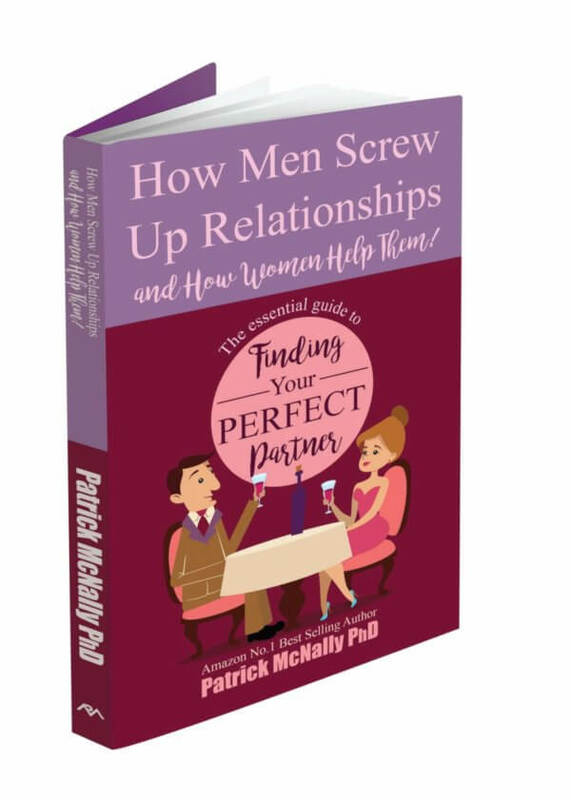 How To Find Your Perfect Partner – Patrick McNally Ph.D.
How To Find Your Perfect Partner… Excerpt of what’s inside! Now that you’ve reached this point in your list creation, here is a part of a list I compiled with a nice woman in her mid-thirties. Her actual list was a lot longer than this and of course, in her mind, it hadn’t looked at all like this when she and her partner first got together. I helped this lady realise that by getting her to make a more up-to-date list of the guy as he was today. She told me she felt sorry for him. I asked her whether she felt sorry for him in the same way that she’d feel sorry for an abandoned puppy. She got my point. Regardless of how she felt, she and he had either stuffed up the selection process or massive changes had taken place during their (wait for it) 36-month relationship. Yes, after only three years the above list described what she had first thought was her perfect male. This book has been a world wide smash hit with people in 17 countries. Make sure you read every word in this International Best Seller.